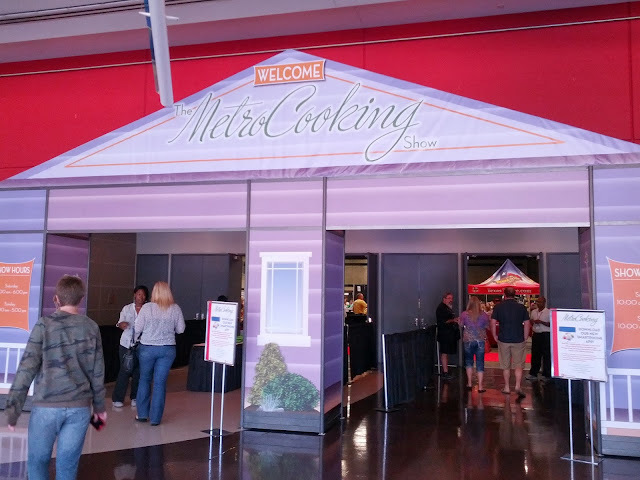 Food and Iron: 2013 MetroCooking Dallas Expo!! 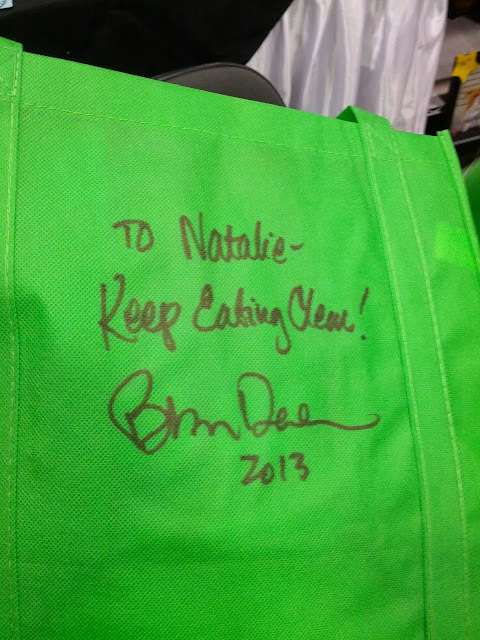 I met BOBBY DEEN! 2013 MetroCooking Dallas Expo!! 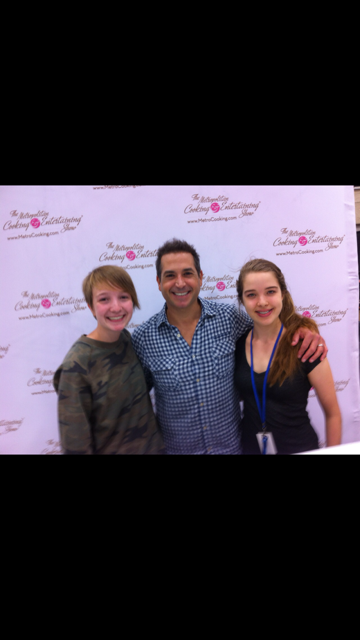 I met BOBBY DEEN! This weekend has been filled with joy! I woke up Sunday morning to a call from my best friend, Taylor. 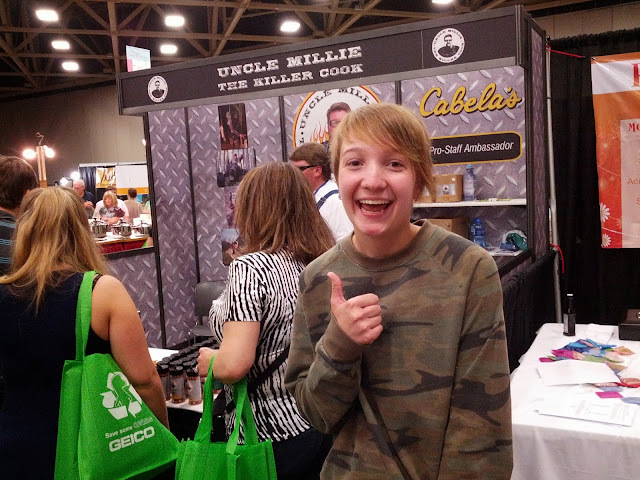 She had bought tickets to the Metropolitan Cooking and Entertainment Show in Dallas in a few months back, and wanted to know if I could tag along and use an extra ticket they had. Of course I was THRILLED!! We arrived at the expo around 11:30. I knew that many people from the Food Network were going to be here... Paula Deen was expected to show either Saturday or Sunday, but we did not have the special tickets to go see her or any other personalities speaking. That really didn't matter at all though. I mean, as we were approaching the building, an ecstatic women was leaving and exclaimed "Bobby Flay is in there! He'll sign anything!" 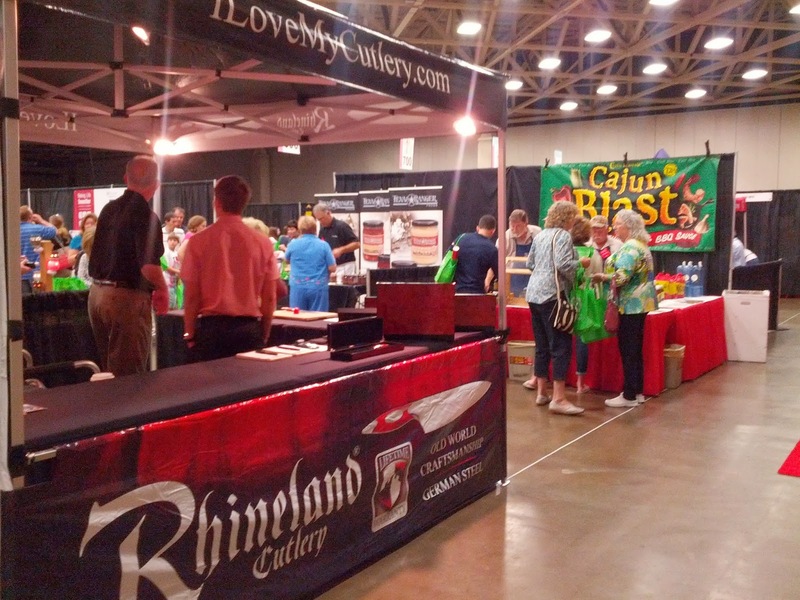 We entered the building and immediately were greeted with tons of vendors. In the back, the place you got to visit with the special tickets, they were having live seminars. This was were any celebrity speakers were talking. We could still hear everything going on, and even saw what was happening on a huge screen they had overhead. To the side they had live cooking and tasting that anyone could go to. 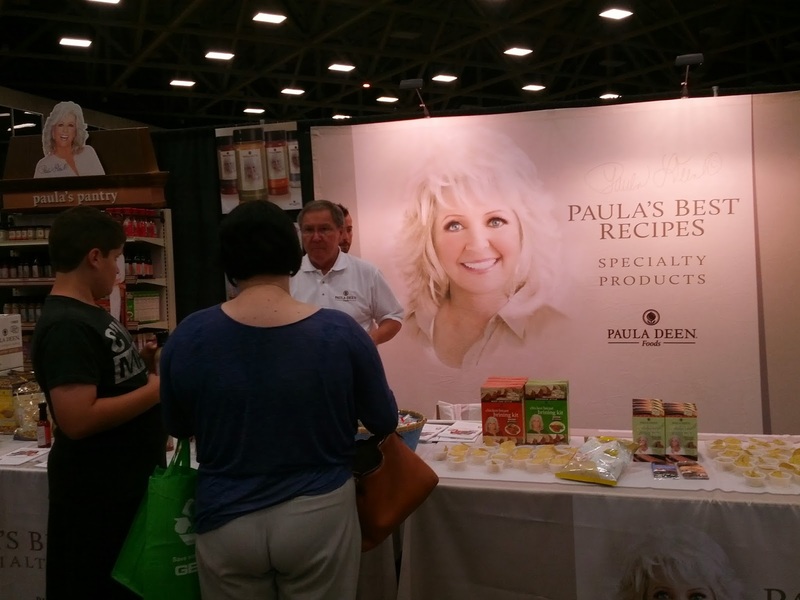 We saw a line, and realized that these people were waiting to meet Paula Deens son, Bobby Deen! 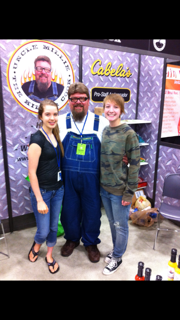 I love his show on the Cooking Channel, Not My Momma's Meals. We joined the wait and after a brief 15 minutes or so, we met Mr. Deen! I mentioned my blog and healthy lifestyle to him and he guested to his beautiful wife, Claudia, who was behind him. 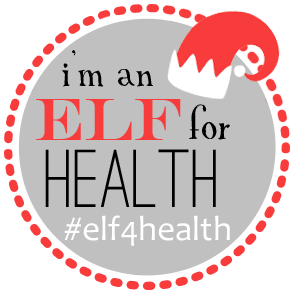 I was amazed to learn that she too has a health blog and lives a healthy, fit, and "clean eating" type of lifestyle! I was given the wonderful opportunity to actually chat with her, and we exchanged blog information. Isn't that awesome?! I was seriously SHAKING as I walked away... like, did that just really happen? 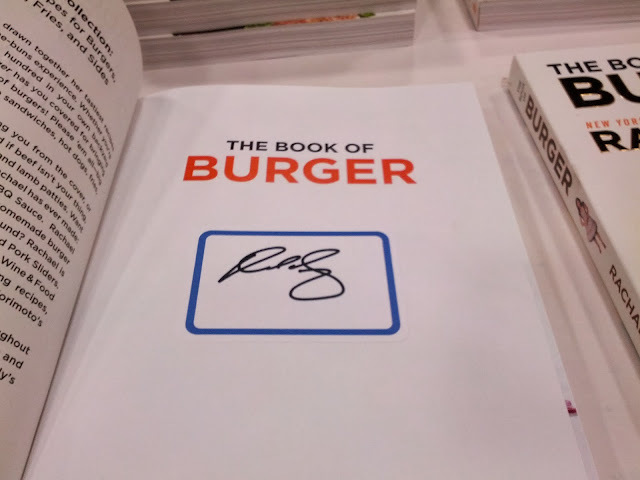 They were selling books, and all the authors of the books had authographed them! 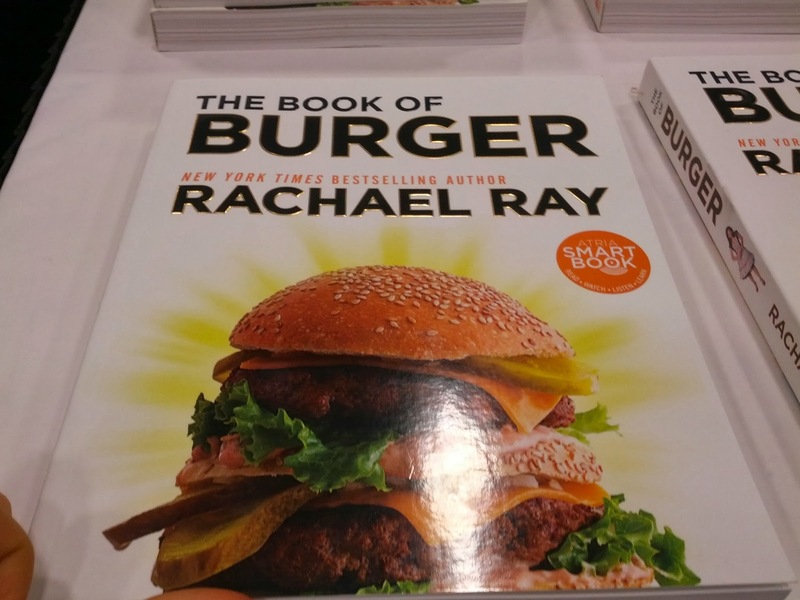 Above is a book from Rachel Ray. I thought these guys were REALLY awesome! 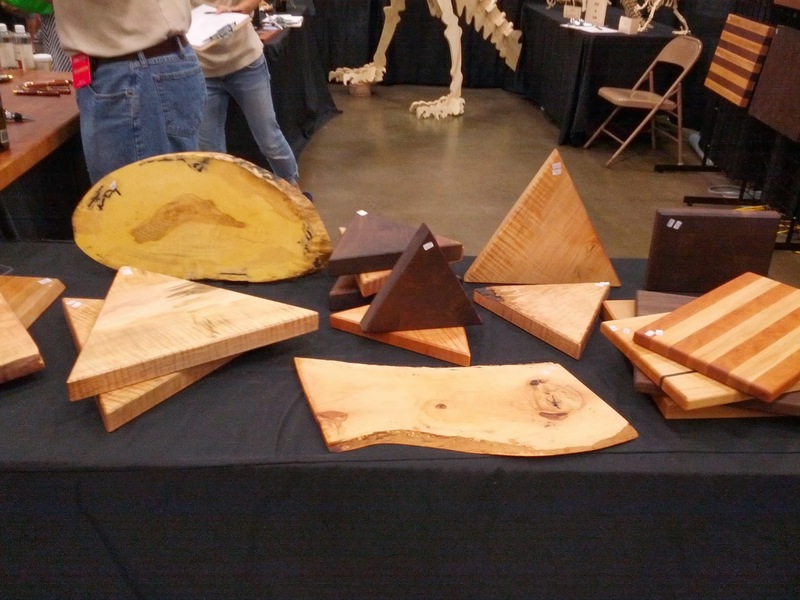 The above the picture is of wooden cutting boards! I know, I know, you can get wooden boards from Target. But look how unique these are! They looked so natural, especially the large round one in the top left. I would love to have gotten one, but they were a bit too pricey for me. I also really liked Salt Rox. 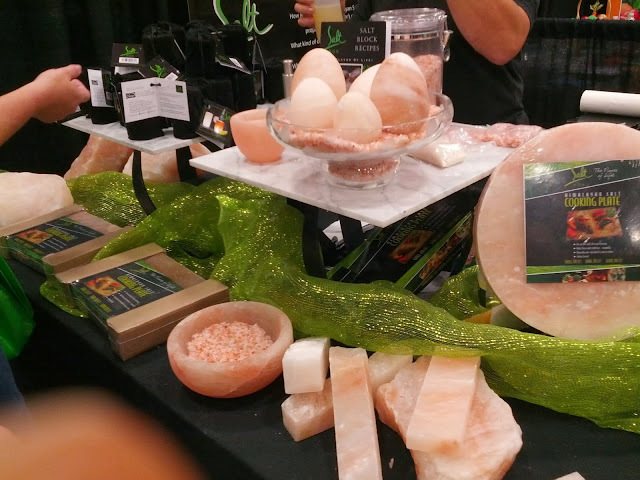 They sell giant slabs of natural pink salt, on which you cook. It naturally seasons the food you make! Isn't that so cool? I tasted some sauteed mushrooms they had as samples, and I was really impressed. They also sold round "eggs" (pictured above) in which you stick up the cavity of a chicken or turkey while you cook it. Taylor's mom bought a pair of shot glasses made from the salt slabs, which are perfect for margaritas, according to the seller. 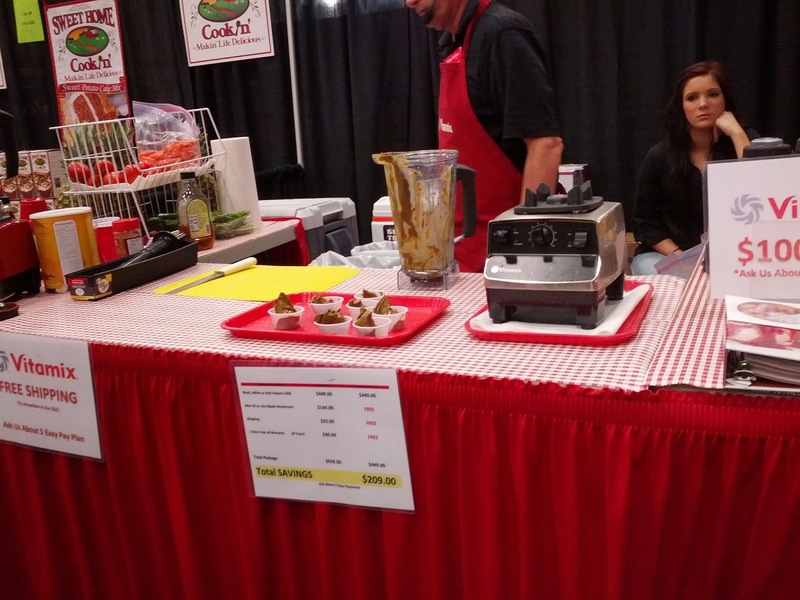 Above is an exhibitor from Vitamix Blenders. I have seen them before at Costco.. but in any case, it was fun to watch! That brown stuff in the sample cups is chocolate ice cream, made with leafy greens, carrots, avocado, and unsweetened chocolate baking powder. 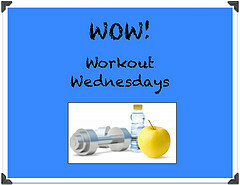 As a sweetener they used Agave nectar, which is not the best option (that stuff is NOT health food. It's so processed! ), but I tried a bit anyways. It was good, but if I made it myself I would use honey. One vendor in particular, Uncle Millie, I really adored. Their hot sauces and seasonings were THE BOMB. Taylor is a HUGE fan of spicy stuff... hence her excitement in the above picture. Taylor and her mom got the Cayenne hot sauce and I got the Garlic Serrano. Plan for a recipe sooooon! Sorry for the blurry picture. But here we are, meeting Uncle Millie. Soon after we left the expo. We were all really happy with what we got and who we saw!! Afterwards, we went sight seeing around the Dallas area. We passed all the awesome arts districts and museums, as well as the great restaurants in the area. We noticed a lot of strange looking people all heading to the same area. I mean, really strange stuff! There was a giant group of people dressed in cameo with Duck Dynasty beards and T shirts. After that we saw some girls as a trio of Marvel superheros. And then, oh man. We saw THIS. Yep. We met Miley and Robin ! Hahaha. 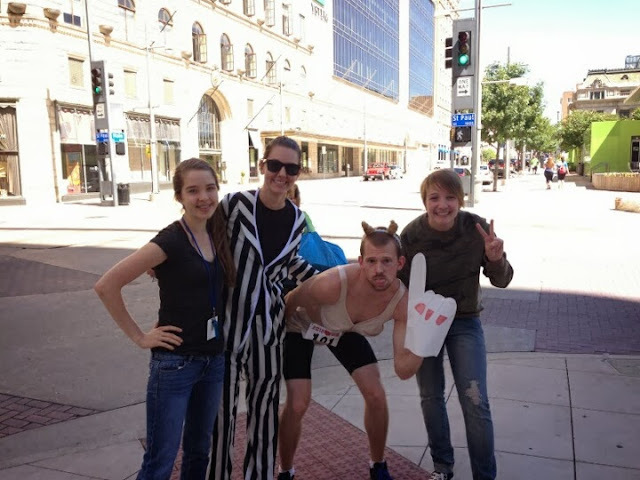 We found out that there was a giant costume race or 5K in the area, hence the reason everyone was wearing their racing numbers! Taylor made a bet that 'Robins' striped suit was actually from a Beetlejuice costume. Pretty clever of her! I'm A Contributor on Real Food Recipe Roundup! Back to School Guest Post on Primal Bliss! Get Clean Eating Teen In Your Mailbox!